constitute the key words when referring to Angelos Noulas’ winemaking. It was the winemaker’s choice not to link to a specific region for his wines. Although his own vineyards are situated in Thessaly, Central Greece he decided to freely select specific vineyard sites of extreme topological interest to express the diverse potential of each variety. 1. The selection of superior vineyards of unique topological interest..
2. The grape quality ensured by the careful selection of vineyards and close cooperation with the farmers. 3. 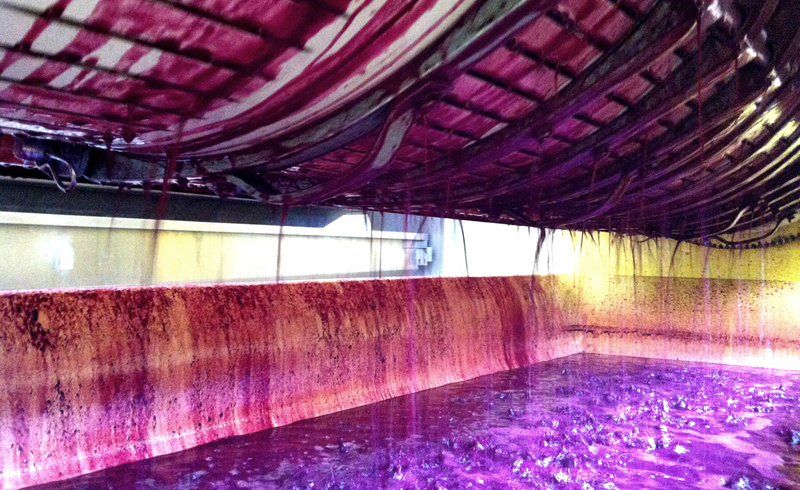 Minimum intervention in winemaking. 4. The ageing and the evolution of wine into the bottle. The Angelos Noulas “Dialogue” Chardonnay grows in mountainous highlands that mitigate heat and express the weight of this versatile and climatic adaptable variety. His “Dialogue” Gris de Noir, mainly consisted of Cabernet Sauvignon, comes from vineyards of lower altitudes that allow a slow and homogenous grape ripening at the desirable alcohol level. For the Merlot “Dialogue” they opted for poor sandy soils with clay and work intensively on canopy management to naturally balance fruit expression and concentration with the right acidity level. The newly established “AN” series, named after the initials of the owner, focuses on Greek indigenous varieties such as the famous Agiorgitiko and the noble varieties Assyrtiko and Malagouzia by applying thorough winemaking techniques, it reveals a diverse wine proposal of unbeatable value. Aiming at the endless pursuit of quality, Angelos Noulas opens through his “Dialogue” wine series a dialogue with time and introduces his winemaking of international and indigenous varieties to the global wine market, shaping the specificity of Selective Greek vineyards. Julia Harding (MW) tasted and commented on Angelos Noulas Selective Vineyards wines.